XP/XR/XM/XS/XRS A Arm Bushings by Snow Shooters - Grip N Rip Racing LLC. 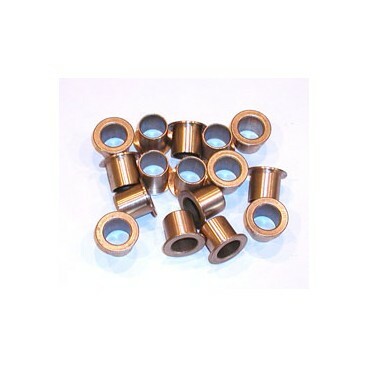 A set of 16 custom made Oil-lite bronze bushings to replace the cheap factory plastic ones. Precision machined to fit with no modifications to A-arms or sleeve bushings. Removes all the slop in the front A-arms providing more precise handling. A must for all Skidoo XP/XR/XS/XM/XRS owners! Made in the USA by Snow Shooters. Does not fit the older style Rev. (2003-2007) Rev bushings available. A must for all Skidoo XP/XR/XS/XM owners! Does not fit the Rev. Rev bushings available.